Tickets are free, and accessible here: http://bit.ly/i3eventbrite. Following her full-year residency in i3’s innovation space, Stephanie Kaplan ’10 founded HerCampus, the #1 global online community for college women with chapters at over 250 colleges. It has created 20 full-time jobs to date and hundreds of internship opportunities for college businesswomen across the country. Juniors Nick Krasney and Tuan Ho incubated in the Innovation Space for 1 year while founding Tivli (now Philo), an online television distribution company. Now with 7 team members and Series funding of $6.3M, Philo was named to Fast Company’s list of the World’s 50 Most Innovative Companies. Undergraduate co-founders Michael Ragalie, Jared Pearlman and Ryan Petersen incubated Verba Software for 15 months in the Innovation Space before moving the company to San Francisco. Now a team of 19, Verba is a bootstrapped, profitable and growing software company on over 350 campuses that helps make higher education more affordable by reducing textbook costs. Sophomores Jonah Varon and Axel Hansen received a McKinley Family Grant in 2011 for Newsle.com. After incubating in the Innovation Space, Newsle raised $2.5M, hired four engineers, grew to 2 million users and was acquired by LinkedIn in 2014. Junior Annie Ryu and alumnus Devon Williams received a McKinley Family Grant in 2012 for Global Village Fruits, a for-profit, mission-driven international food company. Annie graduated in 2013 and as CEO of GVF is an Innovation Space alumni resident. She has raised $500K in angel funding and now sells wholesale to Whole Foods, having set up processing facilities and a supply chain in India that creates local jobs. Junior Olenka Polak won a McKinley Family Grant in 2013 for her myLingo mobile phone app that provides movie audio in the users’ language of choice. myLingo went on to raise $1M in angel capital and launched with the major motion picture release of Cesar Chavez in 2014 and is now in negotiations with several Hollywood studios. Another i3 winner, Tyler Bosmeny, transformed his i3 project into Clever, which has now raised $30 million and is being supported by Y Combinator. Come and meet the next generation of Harvard student innovators! Location: Harvard Faculty Club, 20 Quincy Street, Cambridge, MA 02138. Time: Thursday, April 9, 2015 from 6:00 p.m. to 9:00 p.m. (EDT). 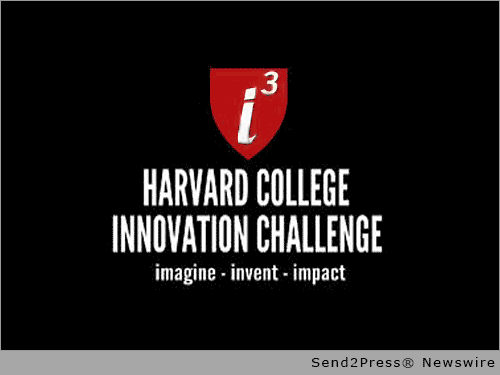 Original Keywords: Tiffany Lazo-Cedre i3 Innovation Challenge Cambridge Massachusetts CAMBRIDGE, Mass. REFERENCES: Education and Schools News, Tiffany Lazo-Cedre i3 Innovation Challenge Cambridge Massachusetts CAMBRIDGE, Mass.